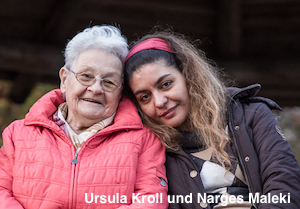 The traveling exhibition 'Refuge then and now' shows what displaced persons after World War II and refugees that came to Brandenburg since 2015 have in common. Students conducted interviews and created 20 boards on which one can read about how it is to leave ones homeland - back then and today. We spoke to the curator Dagmar Jurat, an impressive woman who has been fighting racism and xenophobia since the 1990s. You can find further information and the actual location of the traveling exhibition 'Flight today and yesterday' here!